Frank has served Marlboro for more than fifty years. In addition to his leadership of all marketing and media efforts, Frank has guided the Musicians from Marlboro national touring program since its inception in 1965-1966. In addition to his position at Marlboro, Frank has led the New School Concerts since 1960 and founded the New York String Orchestra Seminar at Carnegie Hall in 1969; is the Manager of Peoples’ Symphony Concerts; and founder and President of Frank Salomon Associates artist management firm. 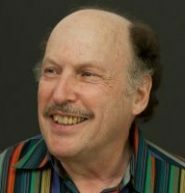 Frank has served as co-chair of three music panels for the National Endowment for the Arts; as a board member of the Alexander Schneider and Arwood Foundations; and as an Advisory Committee member of Chamber Music America and the Avery Fisher Prize. He was co-recipient, with Tony Checchia, of a lifetime achievement award from Chamber Music America and he received the Patrick Hayes Award from the International Society of Performing Arts Administrators.